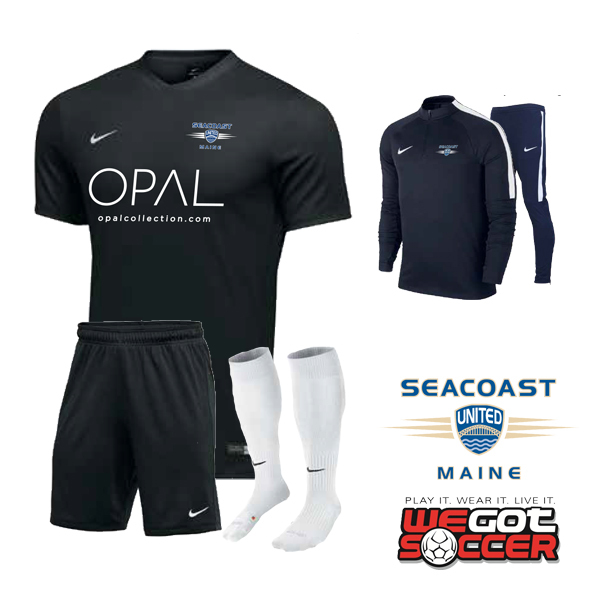 Uniform purchasing for all Seacoast United Maine Jr Academy players will take place through WeGotSoccer. Order your 2018/19 Junior Academy Uniform Kit today by clicking here! *Jr Academy kits are not numbered. Warmups (optional) may be purchased separately. Be sure to use your coupon code SUSCREWARD to save 10% on your order PLUS receive 5% cash back on your purchase! Don’t delay! Orders ship in approximately 1-2 weeks.